There's nothing like finding a reasonably priced piece to add to your wardrobe. I paid $10 for this top. I wasn't sure it would fit well because it's a medium but it turned out to be a good fit. This month is filled with testing days prior to winter break. I'm the person who has a phobia for wasting a good outfit at work. That doesn't mean I'll pull out flip flops and sweats but I do take it down a notch. I remember when I first begin blogging. I spend hours reading blog after fashion blog after fashion blog. Now that I'm trying to making some better financial choices, I don't care about wearing the same things over and over. So imagine my excitement to post the same top back to back. 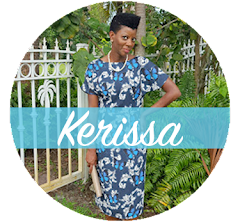 Although there was a week time span in wearing the look, I wanted my readers to know that I do shop my closet. I have a B I G trip coming up next summer so I'll be doing this more often! love the blue peplum top, nice color on you! 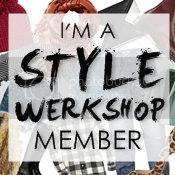 I shop my closet too! I love this look on you. I don't think I have seen you wear cobalt blue before, but it looks amazing on you. You should wear this color more often. Looks amazing against your skin tone. I've been shopping my closet for months. It forces you to get creative. Your hair is so long, I have hair envy. I need to stop getting mine cut so often, lol. This is a really cute look for the classroom. I wish some of my teachers back in my school days were as fly as you.